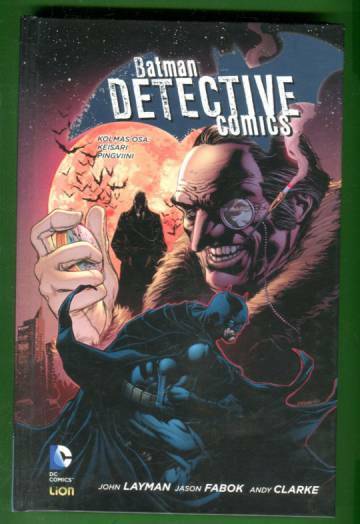 Layman John: Batman: Detective Comics 3 - Keisari Pingviini. Piirtäneet Jason Fabok, Andy Clarke ja Henrik Johnsson. Originally published by DC Comics in the U.S. as Detective Comics 13-18 (2012, 2013).